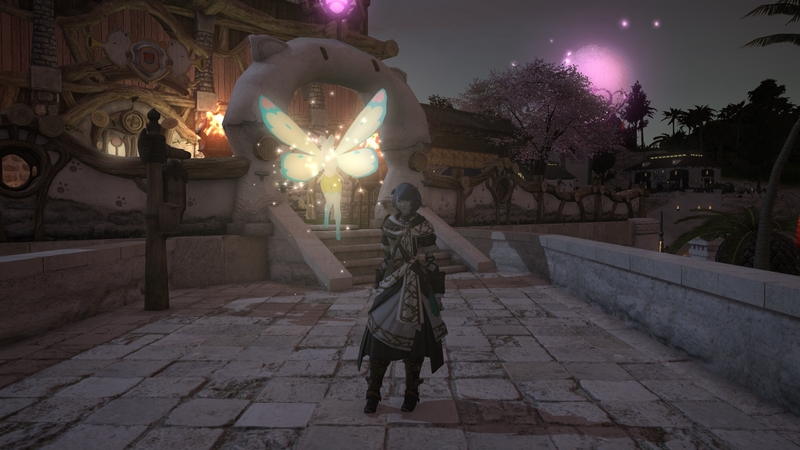 MMO MMORPG News·Articles·Wrestlemania XXXIII + Final Fantasy XIV Crossover! 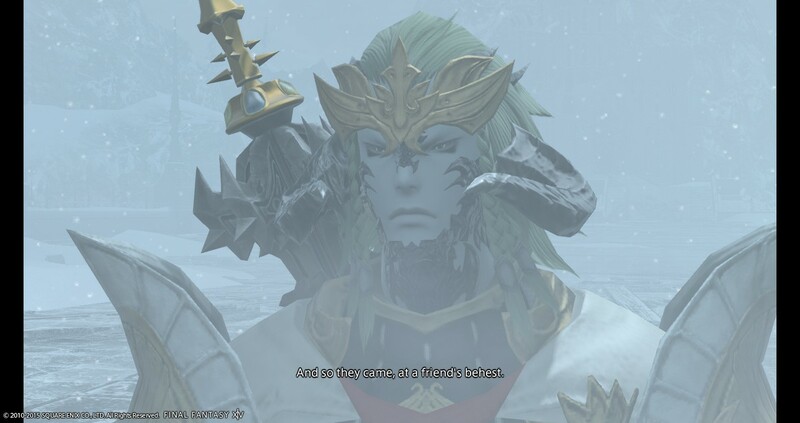 Wrestlemania XXXIII + Final Fantasy XIV Crossover! I spent this weekend watching approximately seven hundred hours of Wrestling. WWE’s Hall of Fame, NXT Takeover: Orlando, ROH’s Supercard of Honor, WCPW’s State of Emergency. That’s a lot of damn wrestling. However, there was something interesting to me, between NXT and the Hall of Fame ceremony: I saw that they were being sponsored by Final Fantasy XIV. Not some oil or candy or car company, but a Square-Enix title. That was fascinating to me and I assumed that Stormblood would be hyped in some way; especially since they specifically advertised the coming of the FFXIV: Stormblood expansion this June. I just wondered and waited to see what was going to happen. I waited through twelve years of the Pre-Show after we halted our D&D session just to watch Wrestling [Yes, it’s serious business!] and the New Day came out. They’re the hosts of Wrestlemania and as the longest-reigning tag champs in history, they did not have a match on the show. Partially because I think they’re running them into the ground and not booking them in anything interesting… but this isn’t a Wrestling website. But I have a lot of strong opinions on that as well. The New Day came out: In Final Fantasy XIV-themed wrestling attire! Kofi Kingston came out as a Red Mage, complete with fancy hat and rapier, Big E came out as a Samurai [which is doubly entertaining to me as his Twitter name is ShinigamE], and had a sheathed blade, and a cool yukata. 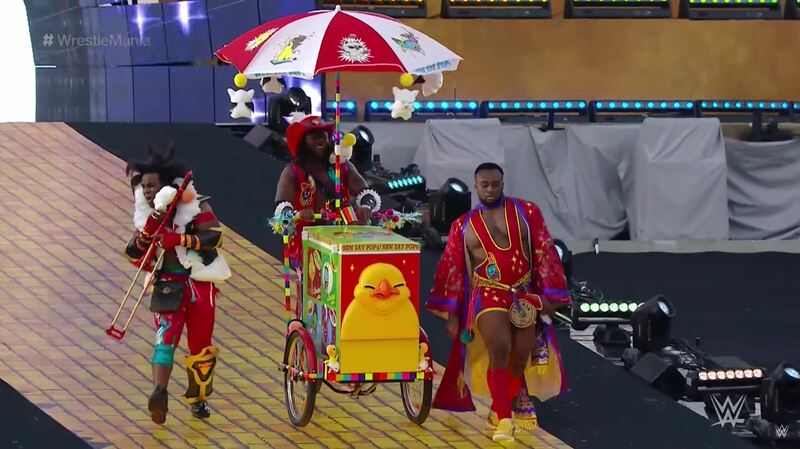 Xavier Woods, probably the most charismatic of this team had a moogle riding on his shoulder, and I honestly couldn’t guess what class he was supposed to represent. I assume Bard, as he had his trombone, and it suits him as a personality. This was a terrific marketing tool! 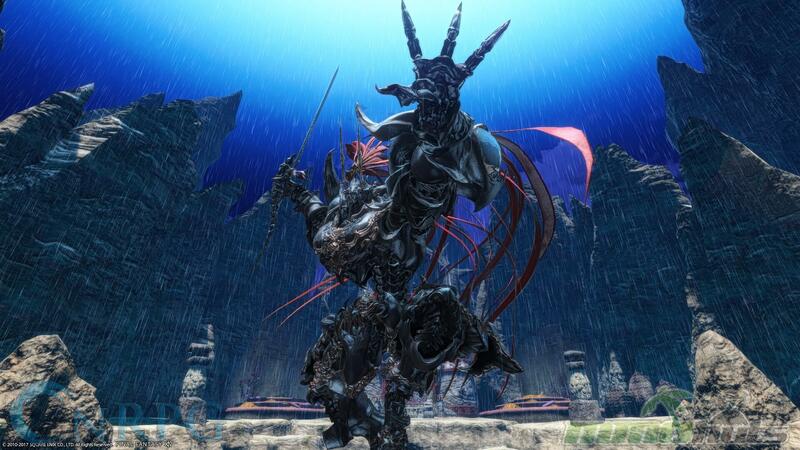 They didn’t announce the game over and over, constantly remind us that Hey, FFXIV’s Expansion is coming out soon! They let the announcers mention it when it was appropriate. The ice-cream cart they came to the ring with it had a Fat Chocobo on it. I thought it was hilarious how abruptly Michael Cole yelled “Chocobo!” and “Moogle!” and it made him seem like he knows nothing about the game. I could be wrong, though. Still made me laugh. Throughout a night of highs and lows [and some truly bittersweet lows], starting the show with one of my favorite MMOs, probably my favorite MMO of all time as of now, it made me quite happy. Kudos to the New Day and to Square-Enix for this unique way to hype a wonderful game. It’s somewhat upsetting how absolutely over New Day is, and the ‘cross over’ between WWE and FF was so surreal that it had no choice but work.